I’m excited about working to bring key leaders strategies and tools to grow their companies. The C12 Group, America’s leading Christian CEO and Business Owner roundtable organization, strengthens force in the Fort Worth area with the addition of Rich Glomski to the C12 Tarrant practice. Glomski joins Joe Peterson, Chair, who launched the practice in 2013. Together, Peterson and Glomski aim to expand C12’s offering of unique proven peer forums for Christian CEOs and business owners. “It is hard to quantify how much value Rich brings to our Christian CEO/business owner roundtables in the Fort Worth area. His experience as a strategic advisor and consultant with some of the largest and most prestigious companies in the world make him uniquely qualified to serve our clients in Tarrant County. In addition, his commitment to sound Biblical business principles, integrity and appropriate transparency is tremendous.” said Joe Petersen, C12 Chair. Glomski will host introductory events for Christian CEOs and business owners at the Colonial Country Club in Fort Worth, TX on Tuesday, August 4th, Wednesday September 9th, and Friday October 9th, 2015 – each from 7:30-9:00 am. Those interested in attending an introductory event may contact Glomski at 832.265.8883 or by email at Rich.Glomski(at)C12Group(dot)com. Glomski is a respected business leader with 35-plus years of business advisory experience in a variety of industries from financial services to manufacturing. Most recently, Glomski served as President and owner of The S Three Company, a Texas based management consulting firm. An experienced executive coach, he has assisted business leaders with leadership transitions, organizational and operational performance, team communications, and major change initiatives. 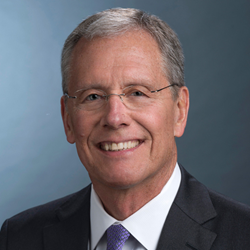 He has served as a senior business advisor to numerous leadership teams at Chevron, Shell Chemicals, Clear Channel Communications, the Houston Independent School District and several financial industry companies, to name a few. “I’m excited about working to bring key leaders strategies and tools to grow their companies. Business leaders continue to search for ways to enhance and sustain their businesses while strengthening their leadership abilities and work-life balance. C12 has a tried and true method of equipping business leaders through peer advisory roundtables who work to apply Biblical principles to their work -- and at the same time, create real marketplace ministry initiatives for employees, clients, and vendors. My goal is to be sure businesses in our area know about the incredible difference The C12 Group can make for their top and bottom line,” said Glomski. Founded in 1992, The C12 Group is America’s leading provider of executive roundtables for Christian CEOs and Business Owners. C12’s mission is to “change the world by bringing forth the Kingdom of God in the marketplace through the companies and lives of those He calls to run businesses for Him.” For more information about The C12 Group of Tarrant, contact Rich Glomski at 832-265-8883, by email at Rich.Glomski@C12Group.com or visit C12Tarrant.com.